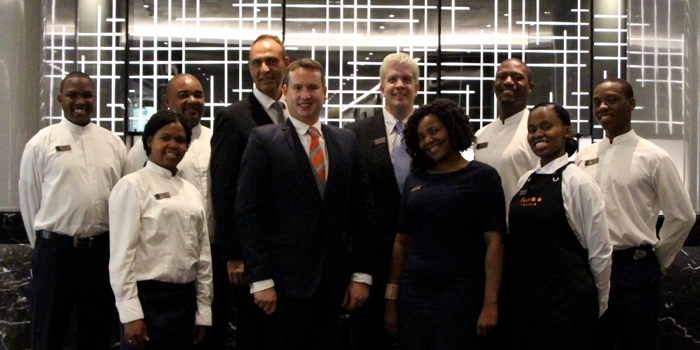 The South African Butler Academy is currently completing a full Hotel Butler Training program at the prestigious Maslow Hotel in Johannesburg. Situated in the heart of Sandton’s business district, home to top investment banks, financial institutions, the Gautrain station and the Johannesburg Stock Exchange, The Maslow offers some of the best corporate services and facilities in Sandton, including free and unlimited WiFi connectivity throughout the hotel, in the 12 meeting rooms and the conference centre which includes a multi-divisible ballroom, auditorium and personal butler service. There is also a techno gym and an Africology Spa. Take a sneak peak into our training program, more photographs and videos on our Facebook Page.